The nation has lost one of its unsung civil rights heroes: Ray Dones was the Martin Luther King of the construction industry. Forty-three years ago, I met a 50-year-old man whose name was Ray Dones. 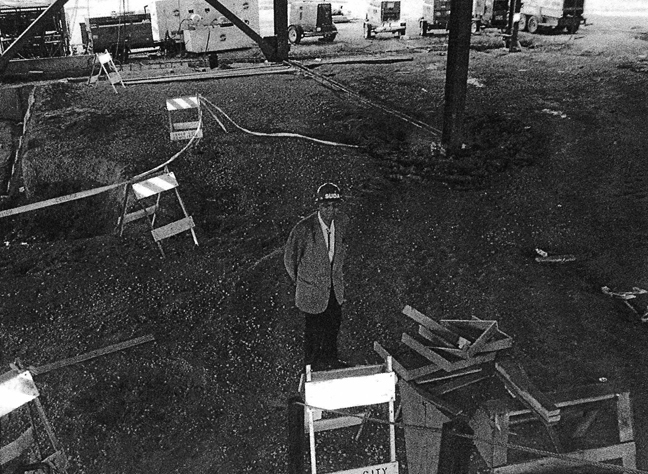 Ray was an electrical engineer who owned a company called Aladdin Electric. What I did not know was Ray had been a sleeping car porter and an inventor most of his adult life. I did not know, at the time, Ray was a genius who held several important patents. Ray died on Friday, March 25, after being infirm for several months. In 1968, the Small Business Administration had not made loans to Black or Brown businesses during its entire existence. I was the executive director of the Oakland Small Business Development Center, a non-profit created to help the SBA become a good citizen and to create jobs in the Black community. Ray came to my office to get a small loan for Aladdin. This meeting was the beginning of a lifelong partnership in search of economic parity. Ray persuaded me to concentrate my efforts on the construction industry. He then provided the leadership for the formation of the General and Specialty Contractors Association, aka GSCA. The members of this association were Black, Brown, White and Yellow. The White members were highly successful sub-contractors who wanted to be helpful. The non-White members all worked below their skill levels and most were denied union membership based on race. The mission of the GSCA was to educate and train contractors and workers. The goal for our workers was union cards. The goal for our contractors was to grow their businesses. We had modest success. We applied to and received from the Ford Foundation help in the form of an organizational support grant. Building on our success, Ford Foundation funded several other cities to do what we had done in Oakland. Out of that model Ray and I founded the National Association of Minority Contractors and Transbay Engineers and Builders. NAMC has chapters worldwide. NAMC led the fight to integrate the building trades and to get enacted legislation such as the surety bond guarantee program now run by SBA. NAMC was also instrumental in the founding of the first and only minority owned surety company in this country, Builders Mutual Surety Co.
Transbay advanced the joint venture model to a new level. MORH housing, a $100 million project in today’s dollars, was built in a 50-50 joint venture with Natomas Corp., an oil giant, which guaranteed our bond. Ford Foundation bought $7.5 million worth of Transbay preferred stock, in today’s dollars, as a program related investment. MORH housing was our first big job. We used a Black lawyer, a Black insurance broker, a Black architectural firm, a Black developer and all minority subs. Workers were trained by OJT (on-the-job training), not by apprenticeship. We finished the job on time and under budget. The government withheld our 10 percent retention, which we had to spend on lawyers to make them pay us. The most remarkable thing was none of us had experience at that level. We all learned on the job. Transbay, under Ray’s leadership, trained more minority workers for union membership than any other construction company in the country. 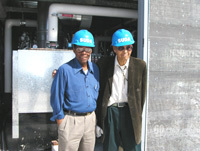 Transbay developed an on-the-job training program, which was under the direction of Gene Johnson, that accelerated eligibility for union membership. Transbay would not sign a hiring hall agreement unless our workers were admitted into the unions. NAMC led the assault on union discrimination across the country. We fought at the jobsite, the government administration and in the courts. While we declared victory, victory was not to be. The unions still discriminate. They now use the dispatch process and other devices. The job that Ray started is yet unfinished. There is less building capacity in the Black community than there was 40 years ago. We are less organized. We are less cooperative with each other. There is less leadership now than before. There is more formal education in our construction community but less direction. We lost Ray at a time when his kind of leadership is most needed. Ray’s son Allen has shown brilliance in and derived profits from construction beyond our wildest dreams. Black politicians and Black administrators are joining our crusade in larger numbers. We all recognize now that the best way to fight violent crime is with a well paying job. Black construction workers making $50 per hour do not sell dope or jack cars. Joseph Debro, who calls himself a “combat veteran in Ray’s war for economic parity,” is president of Bay Area Black Builders, co-founder of the National Association of Minority Contractors, a general engineering contractor and a bio-chemical engineer. He can be reached at transbay@netzero.com. Albany Hills Tower (Prime Electrical Subcontractor) New Construction of 1,200-Unit Condominium Project, Albany, Calif. Hands off the people’s post office!